TVMA’s constant monitoring of legislative and regulatory activities ensures that our members have an opportunity to have their voice heard when agencies seek comments on proposed changes. When changes to rules or laws occur, such as DEA licensure changes, TVMA distributes information about how those changes impact the veterinary profession and what veterinarians need to know to stay in compliance. During the last two Texas legislative sessions, TVMA tracked close to 200 bills related primarily to animals or veterinary medicine and took action to pass or defeat bills as needed. Some of TVMA’s more recent successes include keeping veterinarians out of the Prescription Drug Monitoring Program and ensuring veterinarians were included when the $200 occupations tax was removed. Our annual meetings—the TVMA Annual Conference and Expo and the Southwest Veterinary Symposium (co-owned by the Arkansas, Louisiana, New Mexico and Oklahoma VMAs)—provide members with opportunities to obtain continuing education without wasting valuable time and money on out-of-state trips. Meeting attendees can visit expansive exhibit halls and renew old friendships with Texas colleagues at fun social events while learning the latest advances in veterinary medicine. TVMA committees, made up of veterinary professionals, identify and act on issues, laws, regulations, and trends that impact the veterinary profession and are vital to helping veterinarians, LVTs, CVAs, practice managers and industry stakeholders stay competitive and competent in a rapidly and dramatically changing environment. TVMA has aligned itself with various businesses to offer you the best prices on products and services. Please consider these companies as you shop for products and services to meet the needs of your practice. These alliances benefit both you and TVMA. For more information, call 512/452-4224 or visit this link. 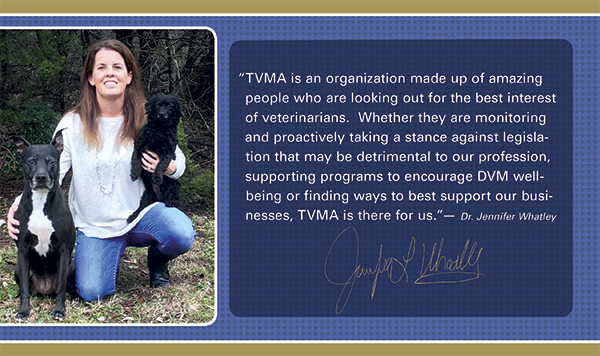 TVMA members can look forward to a growing portfolio of members-only benefits geared toward all members but with associates, Licensed Veterinary Technicians, other non-owner veterinarians and staff specifically in mind. There are currently three benefits available with more to come. HotelStorm offers significantly discounted hotel rates worldwide. 24 Hour Fitness offers TVMA members and staff discounted monthly fees, one 50-minute session with a personal trainer and special events. SixFlags Fiesta Texas offers discounted online tickets for the Fiesta Texas Theme park in San Antonio. Click HERE to take advantage of these benefits. When you need information quickly, visit TVMA’s website: tvma.org. There you will find the latest news, information on TVMA meetings, links to government agencies and much more. Through award-winning publications like the Texas Veterinarian magazine, The Source newsletter and the TVMA Membership Directory, you can keep abreast of the latest news in the profession within the state. Whether you need information on the latest regulations or want to locate the phone number of a state agency, you can find it all in our publications. Legal and regulatory issues surrounding veterinary practice can be confusing and complex. To better serve our members and give more immediate access to answers to some of the more common questions, we have compiled them into this helpful FAQ. If you don’t find what you need in the Veterinary Legal Center, call 800/489-7347. Ask TVMA is a free resource for members who have a question or concern regarding legal or regulatory issues, covering a diverse range of issues including veterinary practice, ethics and employment law. One call to Ask TVMA can save dozens of phone calls. If you or someone you work with has a mental health or substance abuse problem, TVMA’s Peer Assistance Program can help. Professional Recovery Network is operated with strict confidentiality. If you care about someone in need, call the PRN helpline at 800/727-5152, available 24 hours a day. Whether you need health certificates for pets traveling to another state or a drug inventory book to help you track the drugs coming into and going out of your practice, TVMA has the products you need. TVMA and Veterinary Career Network (VCN) offer options for employers and job seekers. TVMA’s classifieds are published in print and online and focus on Texas-based clinics and VCN offers a nationwide online job board. Click HERE for more information. Please call our office with any questions you may have at 512/452-4224 or email Devorah Jakubowsky at djakubowsky@tvma.org.